When planning your wedding you’ll no doubt spend hours thinking about, discussing and possibly obsessing over the biggies such as the venue, the dress, invite list and (of course) the food. And quite rightly too, they are a pretty big deal. But there are lots of little things that you might not have considered, that don’t seem important, simply don’t crop up …. Exactly who is supplying the ice? 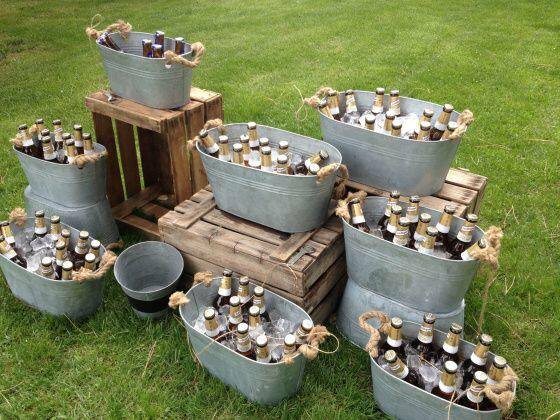 If you are having an outdoor wedding and supplying your own alcohol then this is an important one. How are you keeping your drinks chilled? 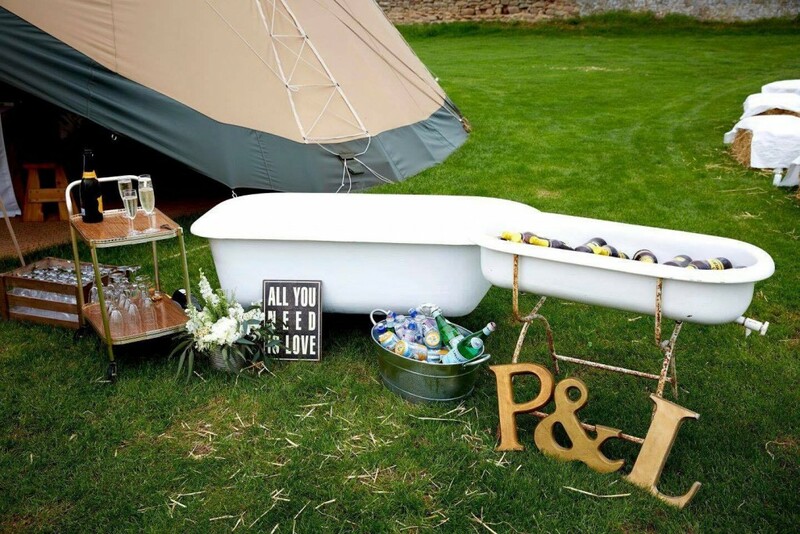 On a hot summer’s day the last thing you want is for everything from the Champers to the Chardonnay to go a sticky luke warm as it sits in your tipi or marquee waiting to be opened. Check the deal with your caterers and bar company, if you are using one. Don’t assume that it is all part of the service. 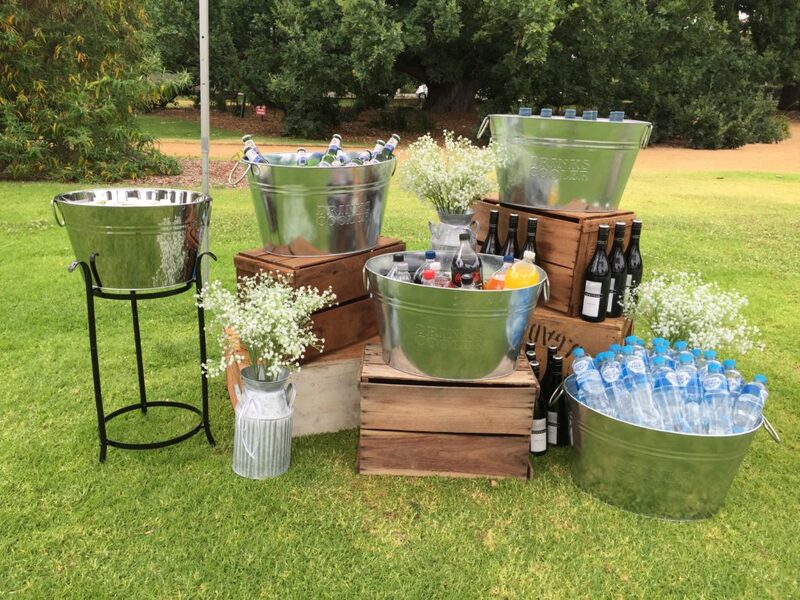 The caterers may only have enough fridge space for the food and if you are only hiring a bar for evening drinks, chances are that they will only have room in the fridges and enough ice for the drinks they are serving and not to chill your fizzy stuff. Always clarify the situation. You can usually hire space and/or purchase ice from either supplier. 1) Pop down to Wilkos or your local garden centre and grab some giant tubs. 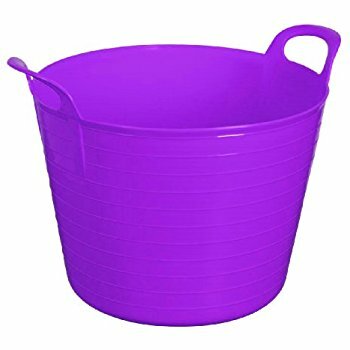 You know the ones, giant plastic things you might use in the garden or for storage well they are perfect make shift coolers. They come in a variety of colours to match your theme. Then use the tubs to collect empties. 2) Contact your local supermarket or specialist ice supplier such as the-ice-man.co.uk to stock up on bags of ice cubes – you can place an order for delivery directly to your venue, just ensure someone is there to receive them and knows the plan. 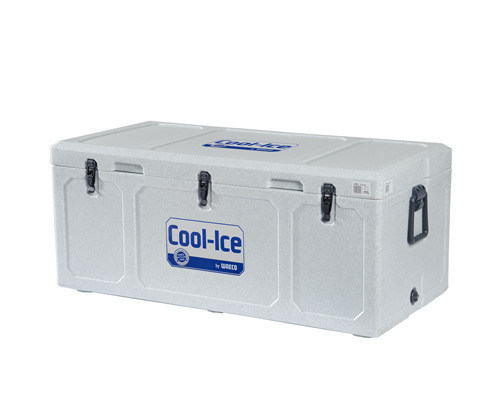 3) If you’ve got a lotta bottles, it may be worth hiring a portable fridge or ice boxes. Try a supplier such as shireseventhire.co.uk or eventhireuk.com. Personally, we can’t praise the humble esky enough – these little fellas are deceptively spacious, easy to wheel around and keep your beevys bonzer cold. Whatever you decide, get your ice sorted in advance so you can chill out on the day – with an ice cold beer or flute of champagne. 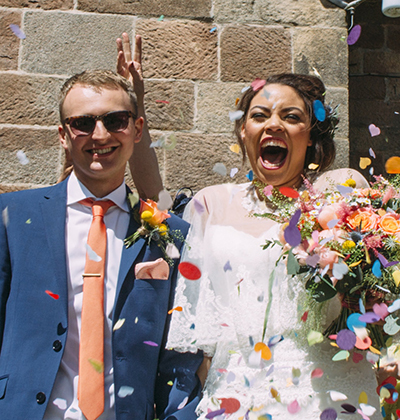 If you want to chat about all things wedding then get in touch.